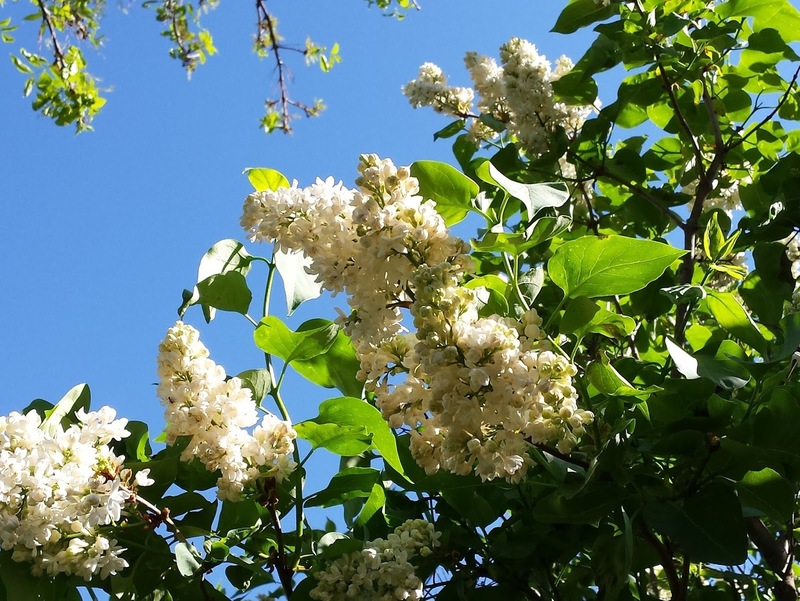 This spring, a robin built a nest in a lilac bush bordering our yard. 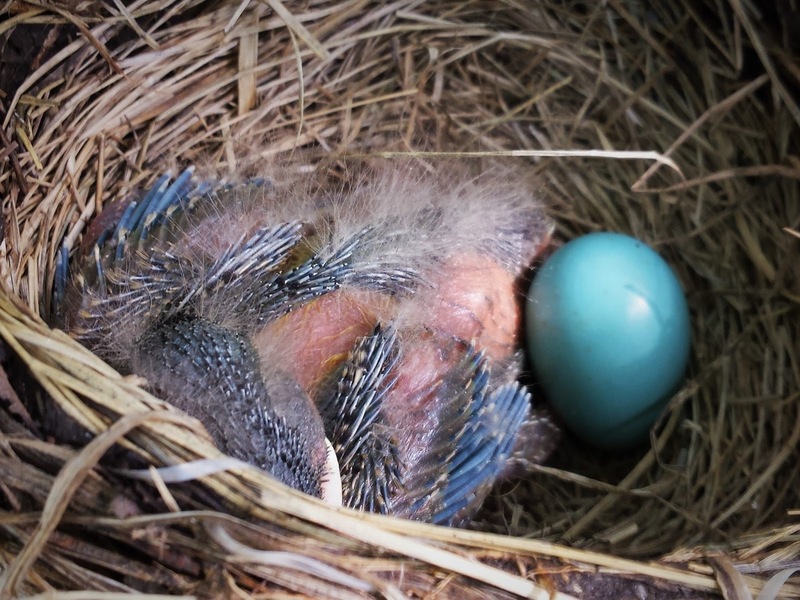 The mama robin faithfully sat on her nest day after day, keeping her eggs warm. 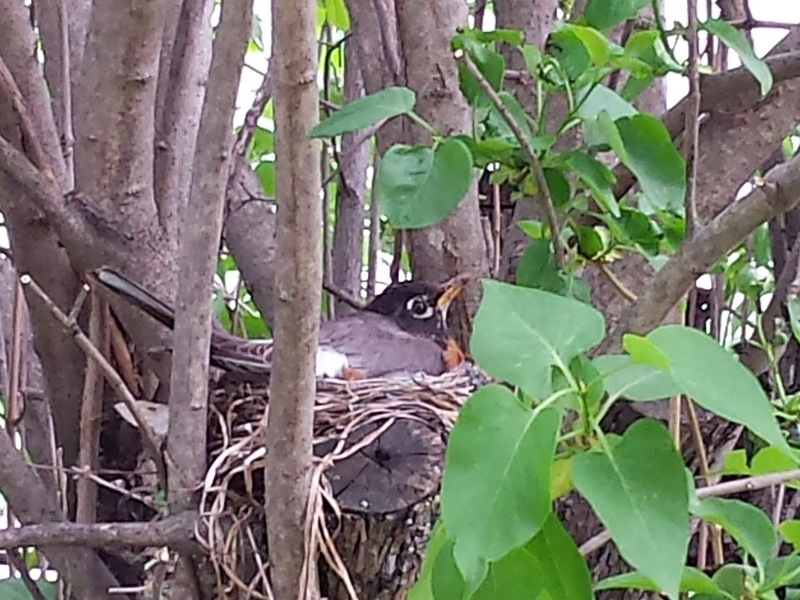 After almost two weeks, one baby robin hatched, and I enjoyed watching this baby bird grow up. 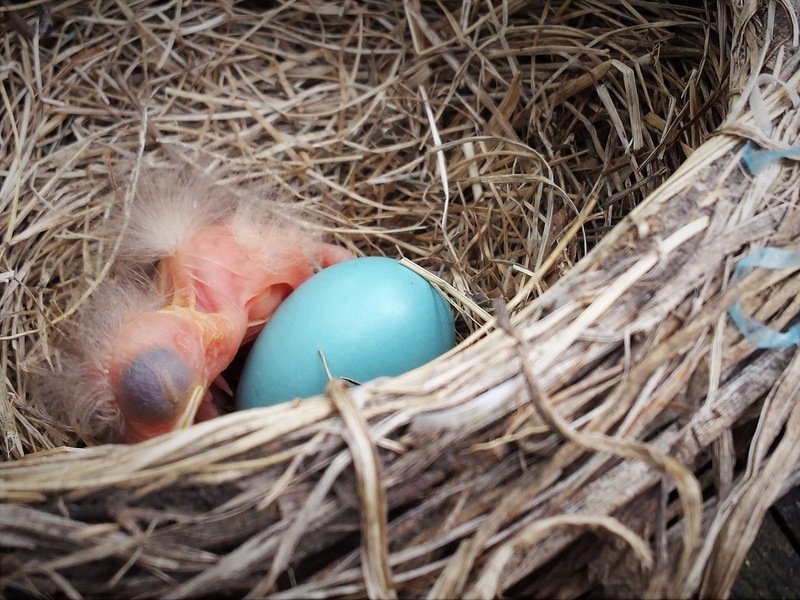 Each afternoon I went outside to peek into the nest and see how the baby robin had grown and changed from the day before. The mama robin sat on her nest throughout the day, but at some point in the afternoon she would always go off to find food, giving me a chance to see the baby bird. I was able to peek into the nest to see the baby robin every day… until there was a storm. 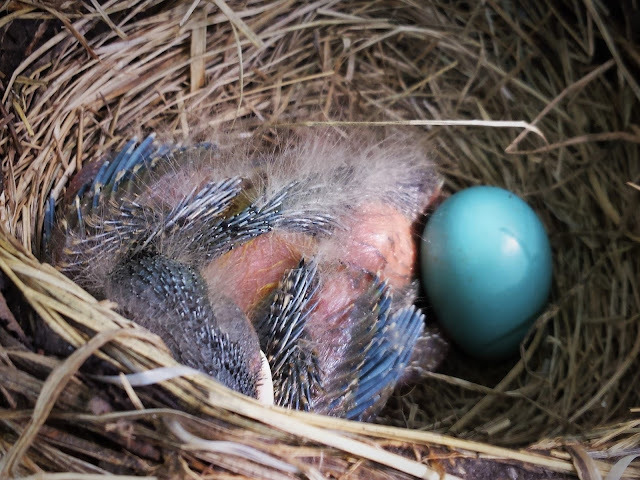 When the baby bird was eight days old, we had a rain storm that lasted an entire day. I did not get the chance to see the baby robin that afternoon because the mama robin would not leave her nest. 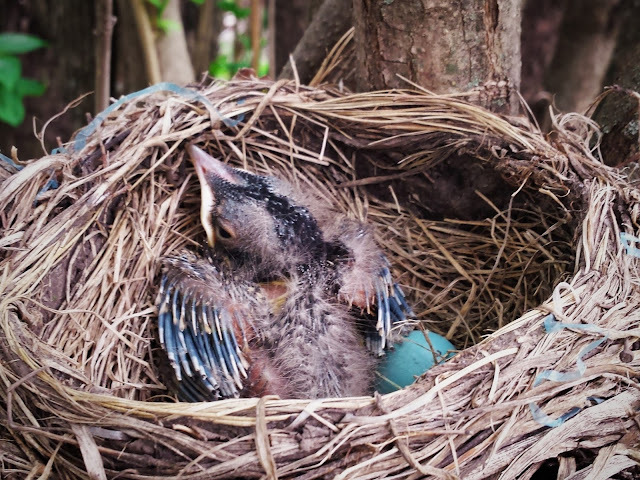 On that rainy afternoon, I glanced over to the lilac bush to see the robin sitting on her nest with her wings stretched out, covering her baby and protecting it from the storm. It was a beautiful illustration of faithful care and protection. Immediately I thought of Psalm 91:4, "He will cover you with his feathers, and under his wings you will find refuge…"
Every other time I had seen the mama robin sitting on her nest to keep her baby bird warm, her wings were tucked into the nest. 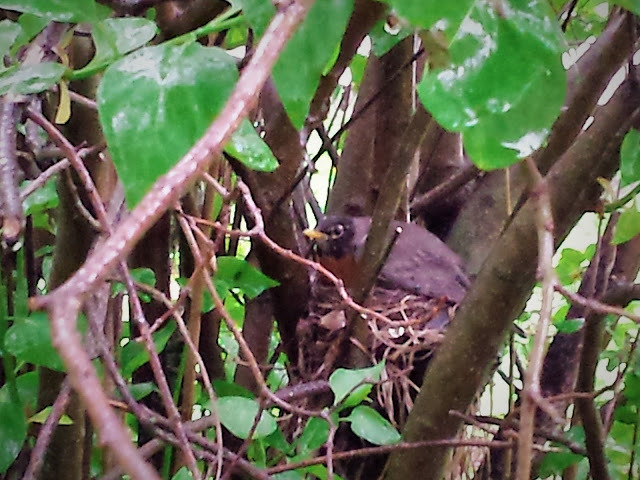 But when the rain came, the robin stretched her wings out over the edge of the nest, providing shelter from the rain. The baby bird still had to go through the storm, but the mama robin was right there with him, keeping him safe and protecting him from the full force of the thunderstorm. 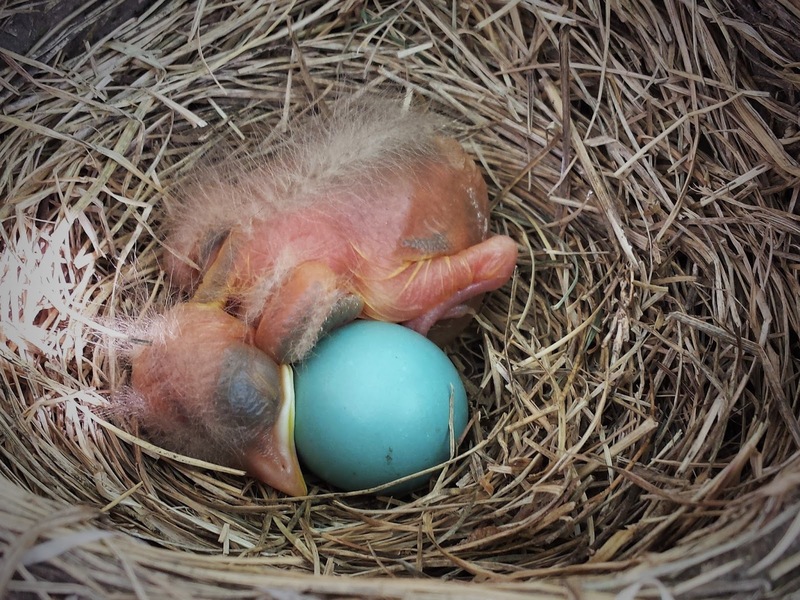 This robin gives us a small glimpse of God’s amazing care and protection over us. We may face stormy trials in life, but we never face them alone. God is right there with us in the midst of our storms, covering us with His wings. We still have to endure the storms, but we do not face them alone “for he has said, ‘I will never leave you nor forsake you’” (Hebrews 13:5b). We are shielded and protected by the Most High God. He is our shelter in the storm, and we find true refuge in Him alone. Let’s cry out with the psalmist, “Be merciful to me, O God, be merciful to me, for in you my soul takes refuge; in the shadow of your wings I will take refuge, till the storms of destruction pass by” (Psalm 57:1). What storms are you facing in life today? Are you dwelling in the shelter of the Most High? How is God your refuge in the midst of your storms?